You are here: Home › Housing Benefits › Landlords Blog › No DSS! Closing the door on tenant discrimination. Across the UK today, approximately 889,000 tenants in England receive housing benefit to help pay their rent and get by. And whilst the vast majority of these ‘housing-benefit’ tenants are decent, well-meaning citizens who value, take pride in, and look after their accommodation, those who miss multiple payments, fall into long-term arrears without showing any urgency to re-pay, or vacate a property that’s been damaged under their contract agreement are the ones who sadly have been tarnishing the reputation of others for a very long time. Tenants, rest assured, if you can prove income and affordability, our landlords will have an open-door policy. The knock-on effect, of course, is that landlords across the UK are nervous to hand over the keys to their property. This default ‘No DSS’ policy, leaves those who do have a genuine need for benefits and are worthy tenants at a dead end with their accommodation choices. But today, our industry as a whole is beginning to change for the better and to genuinely offer a housing lifeline to help those who have this dark cloud hanging over them for no reason. This morning, the BBC reported that Zoopla is to help put an end to housing benefit tenant discrimination by prohibiting agents posting ‘No DSS’ ads, a commonly-used acronym of the now defunct Department of Social Security. 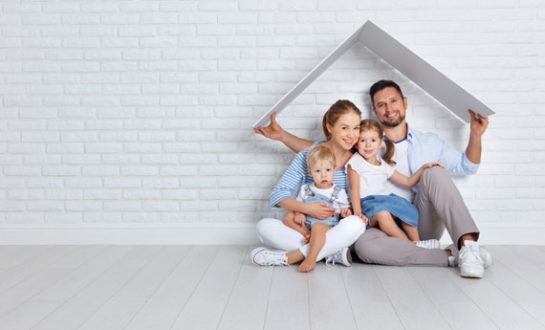 Here at lettingaproperty.com, we too are now in full support of this and during the last few months have been working closely with Shelter in a bid to end ‘No DSS’ policies and encourage wide-spread acceptance of those who are claiming benefits. We actively discourage landlords to use the term ‘No DSS’ or other phrases that state or imply that properties are not available to tenants in receipt of benefits in advertisements. “No longer can the Private Rented Sector shut the door on tenants just because they receive benefits – we have to be open to hearing their individual circumstances. “There are some parts of the UK classed as no-go zones for people on housing benefit because agents and landlords are unwilling to deal with them – and in this day and age, it’s just not right. Landlords and agents are encouraged to assess each tenant application on a case by case basis. The decision to let to any tenant should be based on evidence of the tenants ability to pay the rent, past landlord references and/or employment reference (if applicable). We would encourage that before any tenancies are agreed, comprehensive checks are made on every tenant. For complete peace of mind on non-payment of rent concerns we would recommend our Rent guarantee or Rent on Time packages which offer guaranteed rent and legal protection should a tenant fail to pay. Mary Latham, an experienced landlord of more than 40 years recently shared her experiences on renting to tenants in receipt of benefits, read the first of three articles entitled, ‘What do I do if my tenant ends up on benefits?’. I have been a Landlord for 50 years and have had experience of Housing Benefit – now known as Universal Credit. The facts are that if you accept a Tenant on UC the rent will be paid in Arrear – Lunar Monthly; if the Tenants circumstances change or the Tenant does not supply all the information requested by the Council then payments will cease with no explanation given – the Council will say that under Data Protection they will NOT provide any information; they can also withhold payments without giving any reason why. Councils also have a habit of clawing back payments if they think they have paid too much – arrears will then escalate & they Tenant is therefore living in the Property for free. In the PRS the rent is paid Calendar Monthly in advance – we are a business NOT a charity. Once rent is not being paid, the Tenant will abuse the Premises resulting in thousands of pounds being required to repair/refurbish the Property. Shelter has an agenda to vilify all Landlords and hold them in utter contempt. Ok My ad will mow read must pass rent insurance guarantee criteria. I am not here to play social services and Shelter are really getting on my wick. I don’t claim benefits and worked and scrimped to be in a position not to. Maybe I was wrong in taking this attitude then some do good and make money out of it organisation will fight for me. If they are not careful landlords will say you house them sell up and live off the proceeds. What will our crazy government do then. Perhaps they can find millions to build the houses to put them in and legislate themselves. Maybe Shelter should give their ‘ advise’ to banks and building societies and tell them they must not decline anyone on DSS or HB from applying for a loan or mortgage. That would get laughed out of court. Council’s pay HB in arrears. Would you be allowed in a supermarket to do your shopping for 3 weeks and just pay on week 4?? Universal Credit is pushing Tenants into debt. Council’s and Shelter advise Tenants to stay put until Bailiffs evict them, causing horrendous stress for tenants and landlords. Sort the mess of the benefits system out first. Maybe more landlords would be willing to take tenants on benefits. And nobody, NOBODY can enforce this. Doesn’t make one iota of difference if it is on an advert or not. It’s still Landlords decision. In addition to what has been said, insurance companies charge an average of 3 times the rate for rent garauntee if your tenant is on benifits, why would a landlord opt to paying more?! I think this is looking at the problem the wrong way round. A decision by a landlord to rent a property to a prospective tenant is a business decision and would rent first and foremost to the tenant most likely to pay their rent when it’s due, look after the property, and behave in a manner that is hassle freely to the landlord. A tenant on benefits would be looked on more favourably if the rent is guaranteed to be paid on time, and this includes rental increases within reason. There needs to be more protection for the landlord against bad tenants and a more timely manner of getting the issues resolved which currently cost landlords thousands of pounds. Who wants to risk that when a working tenant on a good income with good references is a much safer business option. Hi Sue, thank you for your comment. We offer this level of financial support to landlords with our unique ‘Rent on Time’ plan which eliminates any risk / concern of non-payment of rent. Details can be found here: https://www.lettingaproperty.com/rent-on-time. Regardless of whether the tenant is in receipt of benefit or not, we guarantee to pay the landlord’s rent on time every month – there is no waiting period as there would be if you were to go for a rent guarantee insurance policy. Each tenant undergoes checks and is assessed on their ability to afford the rent based on their total income however that is made up i.e part time employment with top up etc. We manage the rent payment process which can include dealing with councils etc. If this is of interest to you or our other readers, please feel free to get in touch with our landlord team on 0333 577 8888 to discuss our plans. What nonsense. First up, what is the protected category according to the legislation is this discrimination against? There isn’t one. This is usual Shelter propaganda. Second, stats show 90% of people on universal credit are in rent arrears. The landlord is basically guaranteed to be behind on rent payments. The rates HB rates have also been frozen for years so tenants have less ability to meet general inflation rises. If you can get past this, there is also councils clawing back rent due to tenants changing circumstances that landlords don’t know about. Also councils randomly stopping payments and taking months to restart. It isn’t discrimination, it is about tenants being able to meet financial commitments in a model that the rest of the PRS operates on. PRS is months rent in advance paid monthly. Housing benefit is month in arrears paid on a lunar month. Then if the tenant gets too far behind and the landlord needs to seek possession of their property back, due to the court system being clogged and councils/shelter doing everything possible to frustrate the process, it on average takes 6 months. During that time the tenant stops paying rent and generally trashes the place causing thousands of pounds damage to the property the landlord has to absorb (on top of the thousands of pounds of rent not being paid). These are business realities. Maybe Shelter and others should start addressing the underlying causes of the problem, one they directly contribute to, rather than trying to scape goat landlords who have to deal with all the adverse consequences of this.